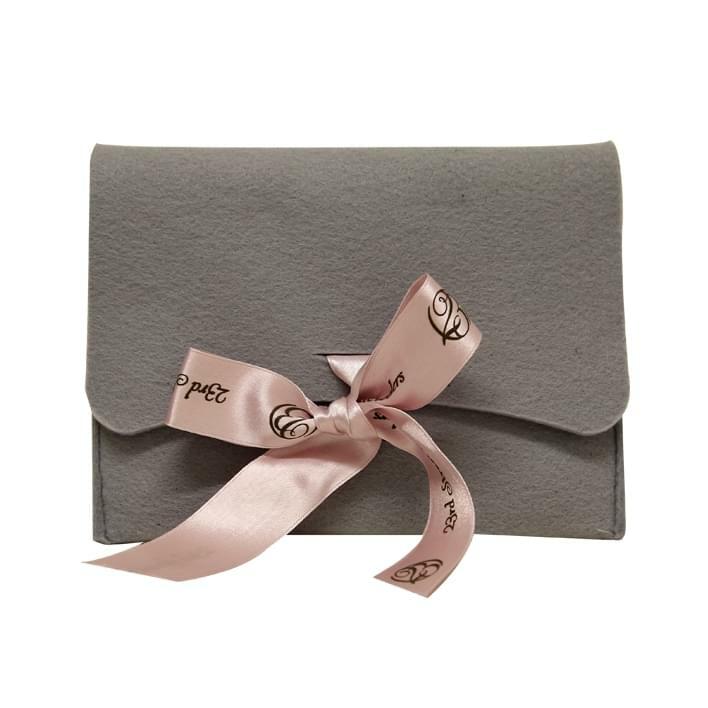 The FELT POUCHES are refined bags for jewelry , characterized by a delicate elegance given by the shape of a small case and by the generous ribbon or, vie versa, by the discretion of the closing button. These are innovative, practical and sophisticated pochettes, unique in their kind. The felt with which these bags for jewelry are made is available in different colours: from the most traditional, such as Burgundy, blue, black, grey or brown, to the brightest like orange and fuchsia. All models are fully customizable.